Spring, summer and autumn are high season at Rosvang Gaard. We can organise an itinery to suit your preferred requirements for either a short or a longer stay with us. The Hotel's situation is perfect as a starting point for all types of activities in Romsdal's majestic nature – from easy walking tours to more extreme climbs requiring a mountain guide. A trip to Romsdalseggen is a must. There are hikes suitable for all levels of experience and Romsdalseggen has been voted into 8th place among the 10 most beautiful hikes in the world by Lonely Planet. We will accompany you to the starting point of your hike and also collect you at the finish if required. Read more about Romsdalseggen here. 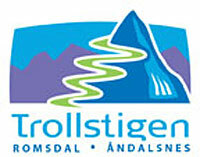 Guided tours to all of Møre and Romsdal's famous sights, such as Trollstigen, Trollveggen, Mardøla or the Atlanterhavsveien, can also be arranged. Rosvang Gaard sits by the shore of the Rødven Fjord – a fisherman's paradise! Boat rental is available for anglers here and also for trout fishing at the lake Herjevatnet. What about a trip to Geiranger? (The Geiranger fjord is on the worlds heritage list) There one can join the Hurtigruten Coastal Cruise, dine on board and then be collected in Molde. The Hurtigruten Coastal Cruise calls in to Geiranger from 1st June until 31st August.